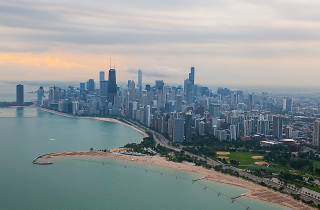 Photograph: Martha Williams Skyline tour with Chicago Helicopter Experience. 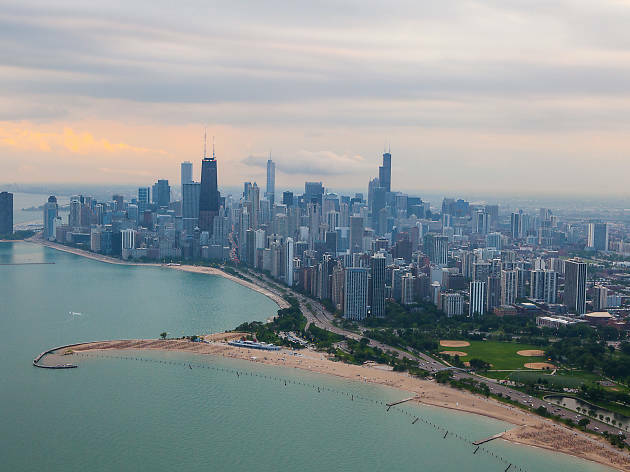 We're adamant that Chicago is the best city to live in, but now we have the proof to back it up. Earlier this year we conducted a survey of nearly 20,000 people in eighteen different Time Out cities around the world—including New York, Los Angeles, Paris, London, Sydney, Tokyo and more—to learn more about residents' lives and what makes a city great. It turns out, when all was said and done Chicago scored the highest marks across the board. Dynamism: How vibrant and exciting life there feels. Inspiration: Whether the city feels like a pleasant or difficult place to live. Food and drink: If the city is somewhere you can eat and drink well without breaking the bank. Community: Whether local neighborhoods were rated highly. Sociability: Whether the city felt welcoming or isolating. Affordability: Whether people could generally get by OK. The top cities around the world had a few things in common that residents say are most important: They're exciting, chock full of great food and drink options, have plenty of great areas to explore, strike the right work/life balance and are friendly. We came in first for food and drink (duh!) with 88% of respondents agreeing that Chicago's restaurant scene is great, while 73 percent said the same about our bars with more Chicagoans agreeing that "wherever you go, you're pretty much guaranteed to eat well" than people from any other city. That's no surprise to us though, with great cheap eats and fine dining options as well as stellar bars in every neighborhood. And while it isn't exactly cheap to live here, Chicago did claim the number one spot for affordability (remember, this is in comparison to other cities). Apparently we strike the best balance between inspiration and affordability with 26% of Chicagoans strongly agreeing they can "live the lifestyle they want." 25% of respondents said they have money left at the end of the month, and a night out on the town—relative to local average salary—came in the cheapest of any city we surveyed. The average income people suggested was "comfortable" was 10% lower than the average wage, while in New York, London and Singapore it was 20% higher. We also just seem to be happier than residents of other cities, but maybe we're just taking advantage of everything the city has to offer. 42% of Chicagoans feel strongly that they make the most of the city, which is probably easier considering we're happiest with our work/life balance (58%) and manage to get a good night's sleep—53% of respondents have stayed up until sunrise in the last year, less than any other city surveyed. Pretty unsurprisingly, we're the city where people are most likely to strike up a conversation (63% have done so in the last week) with someone they've never met—hey we're Midwesterners! Erin is the Associate Publisher of Time Out Chicago, Time Out Los Angeles and Time Out San Francisco. If there's a DJ involved, she'll always request Beyoncé. Follow her on twitter at @edelahanty. Thanks for the great post! I love Chicago, I moved here a few years ago and before living here, all I really heard was Horror stories and since living here I cannot imagine living anywhere else. I bought a home in Pingree Grove IL in a D.R. Horton community and It just feels like home. Love it. You might want to edit the spelling for exciting under dynamism. " "Dynamism: How vibrant and exiting life there feels."